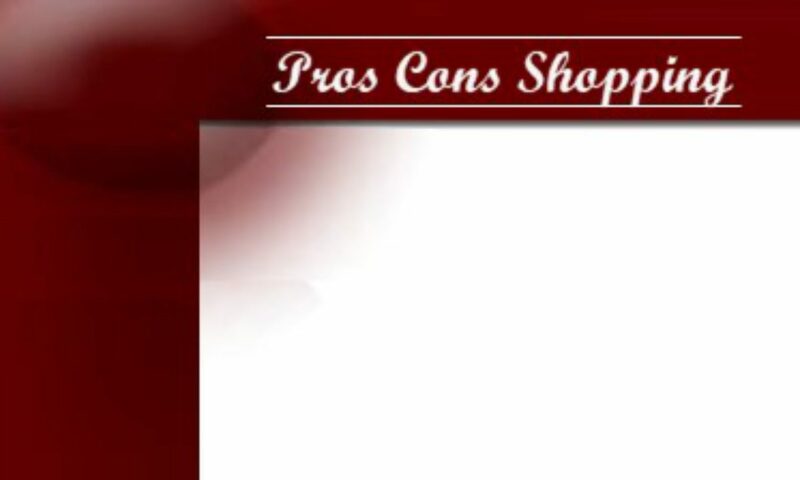 At ProsConsShopping.com, we are committed to maintaining the trust and confidence of all visitors to our web site. In particular, we want you to know that ProsConsShopping.com is not in the business of selling, renting or trading email lists with other companies and businesses for marketing purposes. We take your privacy seriously and take measures to provide all visitors and users of ProsConsShopping.com with a safe and secure environment. ProsConsShopping.com may set and access ProsConsShopping.com cookies on your computer. Cookies are used to provide our system with the basic information to provide the services you are requesting. Cookies can be cleared at any time from your internet browser settings. When someone visits ProsConsShopping.com we use a third party service, Google Analytics, to collect standard internet log information and details of visitor behavior patterns. We do this to track things such as the number of visitors to the various parts of the site and interactions with the site. This information is processed in a way which does not identify anyone. We do not make, and do not allow Google to make, any attempt to find out the identities of visitors to our website. When someone visits ProsConsShopping.com, there may be an ability to submit comments on particular articles or pages. When comments are submitted, you are entitled to use aliases or information that completely hides your identity. When a comment is submitted, the relevant details (name, email, website) that you provide are stored. These details are stored so that we can display your comment back to you, and to anyone viewing the comment sections on the site. We do not verify information entered nor do we require verification. The following applies only if we allow you to register for our e-newsletter. If you do not register, then the following will not be relevant. As part of the registration process for our e-newsletter, we collect personal information. We use that information for a couple of reasons: to tell you about stuff you have asked us to tell you about; to contact you if we need to obtain or provide additional information; to check our records are right and to check every now and then that you’re happy and satisfied. We do not rent or trade email lists with other organizations, businesses or individuals. We use a third-party provider, [This function not used so there is no need to use an autoresponder service] to deliver our newsletter. We gather statistics around email opening and clicks using industry standard technologies to help us monitor and improve our e-newsletter. For more information, please see [This function not used so there is no need to use an autoresponder service] privacy notice. You can unsubscribe to general mailings at any time of the day or night by clicking the unsubscribe link at the bottom of any of our emails. The following applies only if we allow you to register on our website. Registration to our website is not enabled. If you do not register, then the following will not be relevant. If we enabled registration then the following would apply. You are entitled to view, amend, or delete the personal information that we hold. Email your request to our data protection officer at contact@ProsConsShopping.com and we will work with you to remove any of your personal data we may have.